Christmas on the Broward is here. 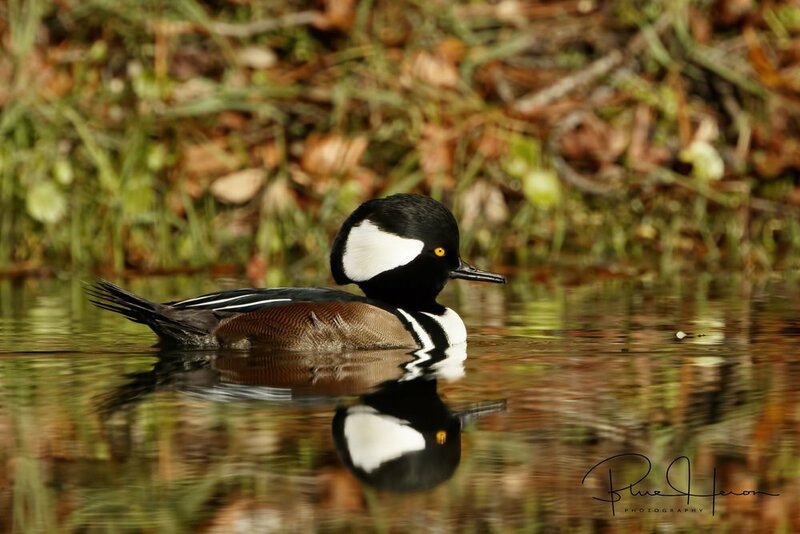 While visions of sugar plums may be dancing in the childrens head, visions of Hooded Mergansers are dancing in mine. As I sit on the dock, in my new camouflage seat, I can rest assured the “Hoodies” can’t see me and hopefully will swim right under my feet on the dock. In the Interim, I paid a visit to my secret Hoodie Hangout. As I approached the hideout a sinister looking juvenile alligator became alarmed and dashed and splashed into the pond. No Hoodies here today and if they were they would be gator bait. A few days later I returned, and what did my eyes behold? 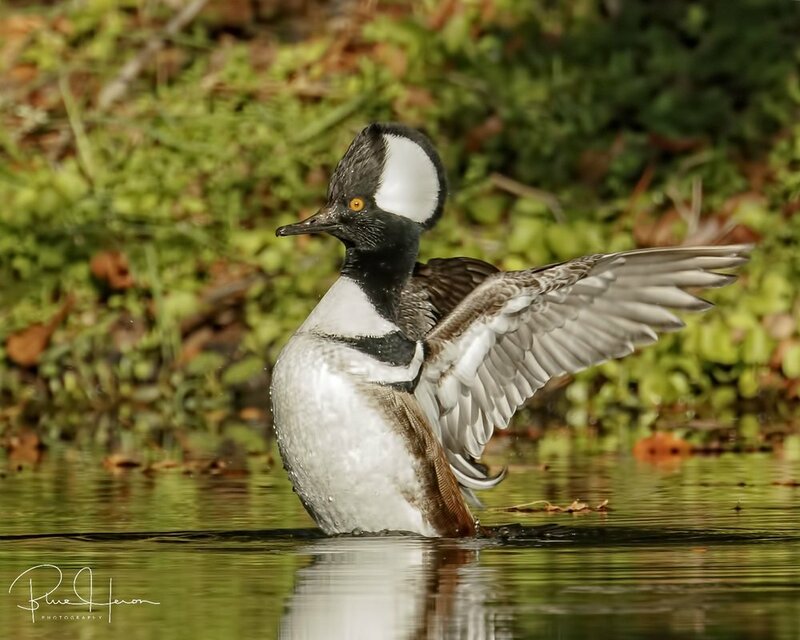 It wasn’t a man with a sleigh, it was a male and female Hooded Merganser. As I approached they warily swam to the far end of the pond. After a few rounds of back and forth I just sat down and they calmed down and began to feed. The light was just right. I had hoped to get a classic Hoodie pose where they sit up in the water and flap their wings dry. No luck today. The following day I returned and found two males chasing after the female Merganser for attention. The three hoodies ignored my presence and again began to feed. This time I waited and prayed for a wing flap shot. I got one but it was facing away. I prayed again, please just let me get a face on shot. The bird turned around and reared up. My doohickey was ready. What a Blessing. Do I look like a Sugar Plumb Fairy? Nope, not Santa either, I am a Snowy Egret! 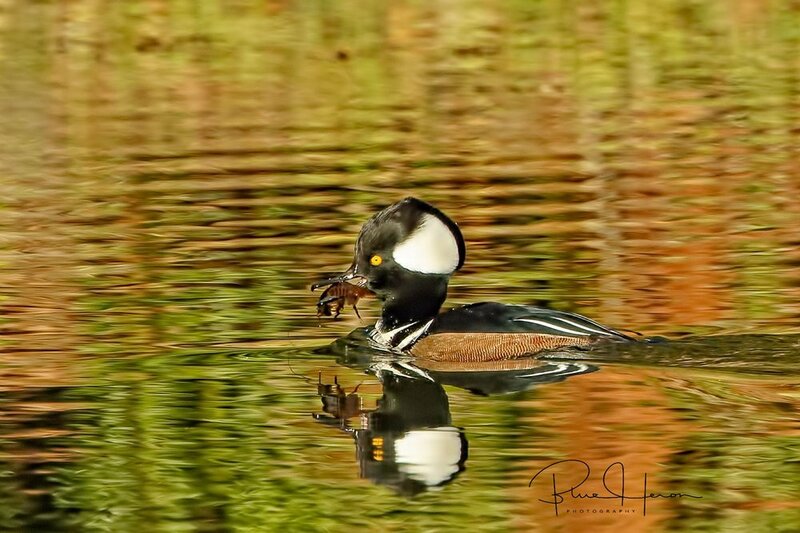 Female Hooded Merganser with her hair feathers wet from a recent dive..
A second male joined the couple at the secret Hoodie Hideout.. Finally got a Hoodie wing flap but it was facing away..
Hallelujah, my prayers were answered when it turned around to face me ! You have now been Hoodie Winked! I feel fortunate to be alive after the harrowing drive home from southwest Florida. Too many fast trucks and idiots on cell phones not watching what they are doing. The speed limit is just a suggestion apparently to most. Had a great visit with friends and relatives though that more than made up for the dangers of driving. Even got a few photos to share. Consider the tides. The angle of the earths tilt and its rotation about the sun, and the rotation of the moon around the earth give rise to the gravitational bulge on the waters of the earth that we call the tides. Depending on time of year and latitude you may have diurnal (one high and one low) tidal cycles or semi-diurnal (two high and two low) tides. And then there are mixed tides. Storm surge and other wind patterns can also affect the tides as we experienced in Hurricane Irma. During my southwest Florida excursion, I captured some wonderful photos at low tide. 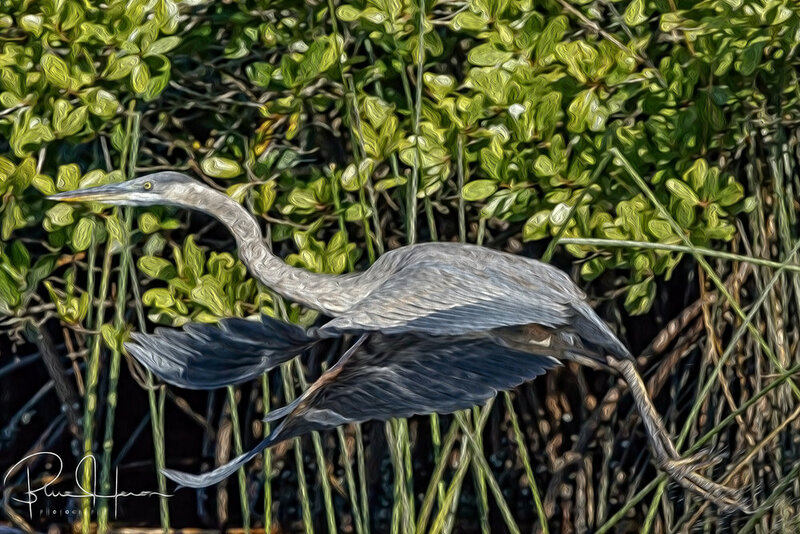 Low tide is not especially the best time to capture photos due to the exposed topography of the estuaries but that is when the birds can see and capture the fish and other critters trapped by the low water levels. It is prime feeding time for wading marsh and shorebirds. When the tides are higher, the diving birds are chasing the incoming or outgoing schools of fish. Raptors such as Osprey and Eagles also feed on the ebb and flow of tides. As my good friend Mike also observed, boats can get stuck more easily at low tide and you have to keep an eye out for gators lurking in the midst. So do consider the tides my friends when making your plans. Life too has its highs and lows. When we are in our youth and riding the high tide of life, all the nutrients and experiences we encounter fill us with energy (but not necessarily wisdom). Then comes the ebb and flow into low tide. You get stuck sometimes and just have to wait till things get better. But as long as the "sun" rises so must we. Be Blessed. 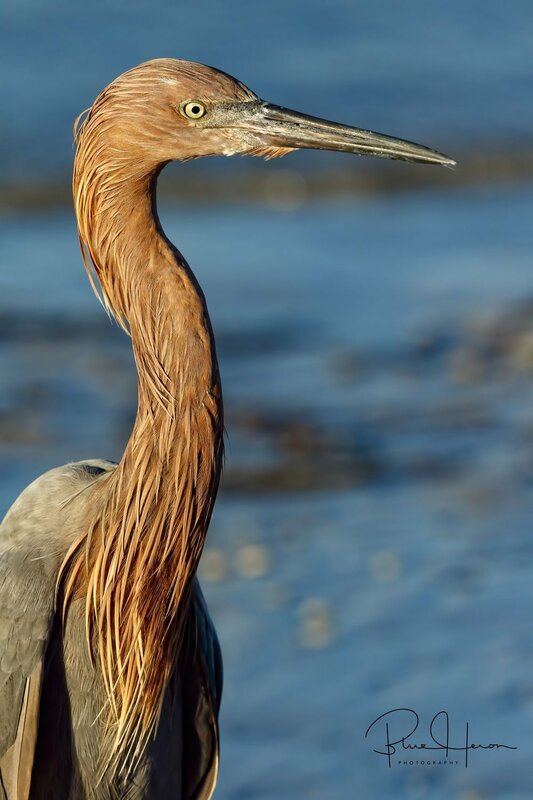 Big Red, the Reddish Egret is an early riser who loves to feed at the changing tides..
Big Red profile,,,he had already filled himself on numerous fish by the time I found him..so I missed his water antics this time..
Yellow-crowned Night Heron with crab snack.. I just hate it when those photographers come and scare the fish away! This one is for you Karen, a more artistic capture ..
Look at that boat stuck in the mud said the Pelican...Is that Mike ? What is that lurking behind him? I had hoped to capture the White Pelicans swimming in the tide but anther photographer spooked them into flight. Raptors such as this Osprey feed on the ebb and flow of tides when the fish are schooling into channels. 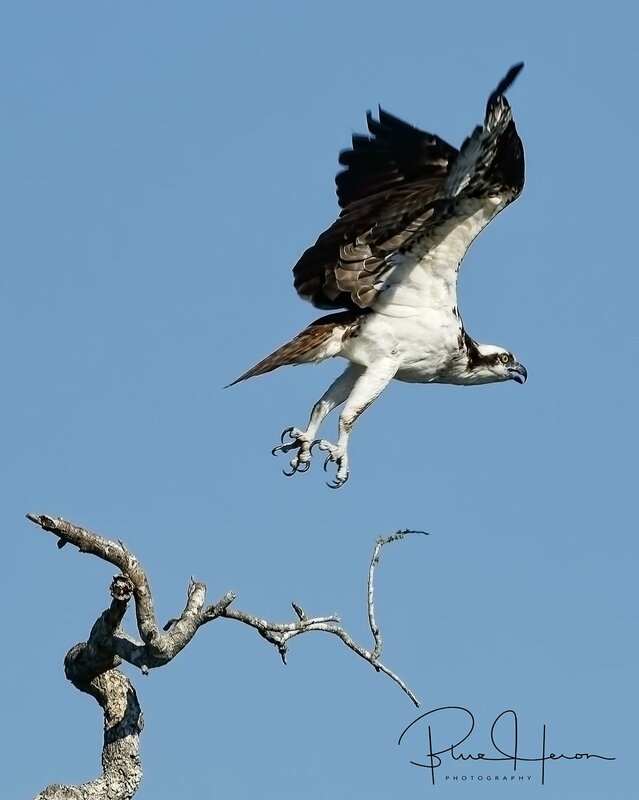 Osprey lift off..look at those talons! If you get any closer Mr Doohickey I will rip your face off with these talons! 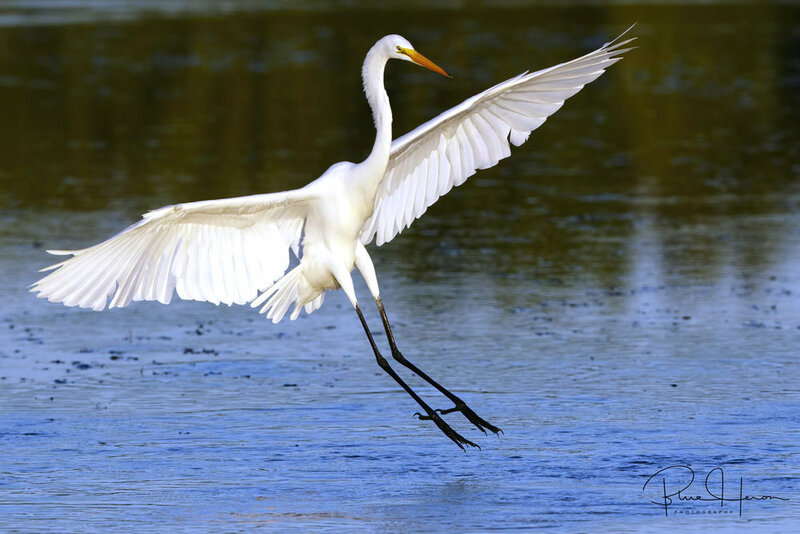 Great Egret flying in for breakfast..
Low tide special please with Miss Elsie..time to eat..and reflect..
Mayport fishing village sits at the mouth of the St Johns river. Mayport was established in 1562 by French Explorer Jean Ribault. My first Destroyer (USS Bigelow DD 942) was at the Naval Station there also. I decided to try and capture some of the local Brown Pelicans hanging around the local shrimp fleet and arrived at sunrise. The Pelicans however took the day off and most of them decided to order out for breakfast it seems or wait for delivery from the Shrimp boats. As I waited and waited for the Pelican fly by a tall two-masted gaff-rigged schooner came up the river, outbound for parts unknown. It was a perfect day for sailing with clear skies and a brisk northerly wind. Unfortunately, they still had all the sails furled until they reached the open sea. The Pelican yawned as it went by seemingly unimpressed. It waited and watched as a local Shrimp boat got underway and headed to sea also. I think I heard it say bring me back 5 lbs. Then it went back to sleep. Speaking of outbound, I am currently in southwest Florida for some winter birding and to visit some folks. I will hopefully have some wonderful photos ready to publish by Christmas. Just wait with the Pelicans till I get back. Blessings. A gaff-rigged schooner outbound for parts unknown. The Pelicans just sit and watch the ship go by..
A local Mayport Shrimp boat heads out to sea also..
Wake me when the boat comes back with the shrimp..
Sanderling scours the beach for tidbits to eat..
Low flight..Brown Pelican skims over the river..
Sure sign of winter..Snowy on the beach..
Brown Pelican finally took flight..
What is that ripping sound? About a month ago I spotted a Pied-billed Grebe in the channel but it was too far away to get a photo. I knew they are very shy so I got my camouflaged photo chair ready. Or so I thought. As I sat down the canvas seat begin to rip. Hmmmm. Diet time or rotten canvas. Unfortunately, it was a little of the former and lot of the latter. A new chair arrived this past week. This morning I sat in my new chair and spotted about a half dozen Pied-billed Grebes way up the river. I said my prayers, pulled the canvas cover over the chair and waited. And waited. Soon I saw some ripples in the water near the bend in the channel. A familiar shaped head looking like a miniature Loch Ness monster popped up. The grebe glanced in my direction and took another dive. It popped up again and kept swimming towards me seemingly undisturbed by the click of the doohickey as it neared closer and closer. This is one of the Editors favorite birds and I was anxious to get some good captures. Per the Cornell Laboratory of Ornithology “Part bird, part submarine, the Pied-billed Grebe is common across much of North America. Pied-billed Grebes can adjust their buoyancy and often use this ability to float with just the upper half of the head above the water. They catch small fish and invertebrates by diving or simply slowly submerging.” I watched this small bird slowly submerge time and time again in its typical submarine fashion. Some 300 clicks later I headed for the house anxious to share some photos with the Editor. December began with a beautiful sunrise.. There was even a morning rainbow to the west. Eastern Bluebird ...time for some nest building! Pied-billed Grebe pops up looking like a miniature Loch Ness Monster! Emerging from a dive it looks at me and keeps on swimming.. Concealed by my new camouflaged chair the Grebe swims by unaware.. 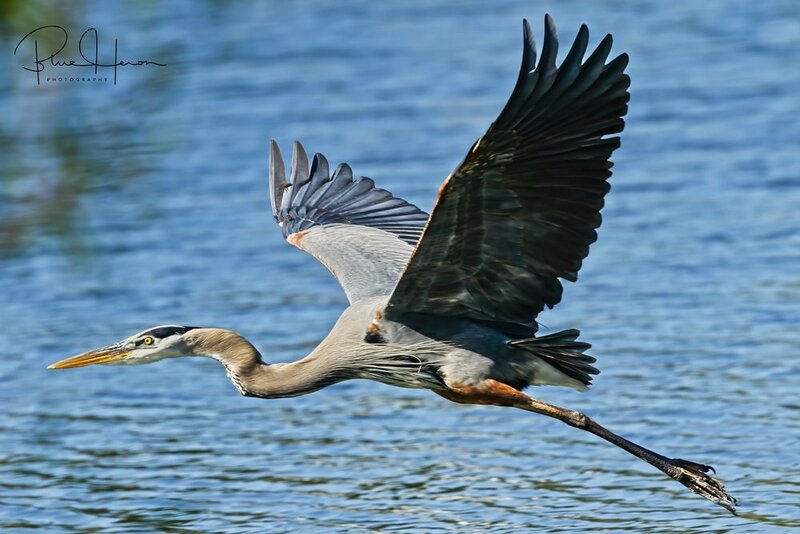 This is the Editors favorite winter bird on the Broward..